The brown trout (Salmo trutta L.) has been described as a `plastic' species that can exist in many different forms in response its evolutionary history and the spatial and temporal conditions in its local environment. Widely distributed and abundant throughout its natural range in Northwest Europe, some forms remain in freshwater to complete their entire life-cycle as `resident trout' while others adopt an anadromous habit to become `sea trout' that migrate to sea to feed and grow before returning to freshwater to spawn. Thus, the brown trout with its ability to occupy small streams, rivers, lakes, estuaries and the sea demonstrates a flexible continuum in the expression of its variable life-history that presents major challenges for its conservation, regulation and management. 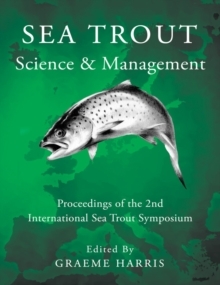 Previously overlooked and generally taken for granted by management agencies, the sea trout has become widely recognised as increasingly important in sustaining socially and economically valuable recreational and commercial fisheries, as a `river canary' indicating the health of the aquatic environment, and as the custodian of a remarkable range of genetic biodiversity within a single species.